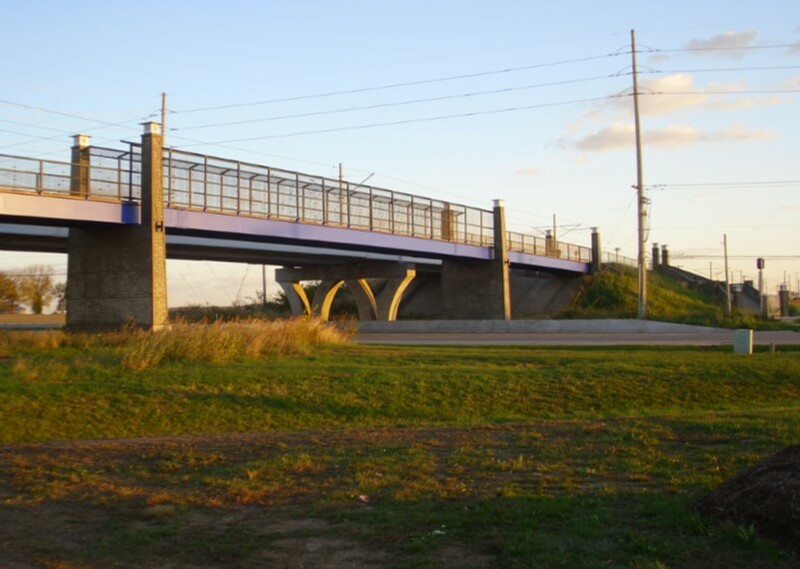 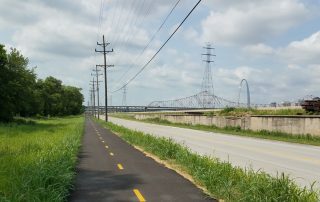 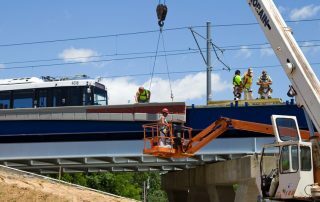 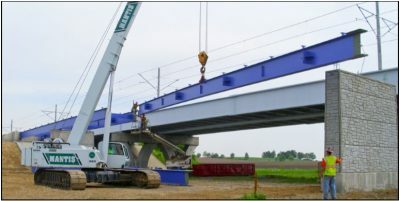 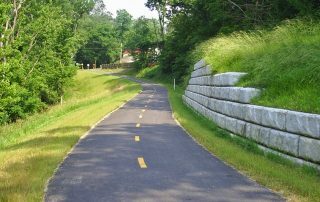 MetroBikeLink Bridge Over IL-161 - St. Louis Engineering Firm | Thouvenot, Wade & Moerchen | TWM, Inc.
TWM is known for our multi use trail bridge designs in Southern Illinois and the greater St. Louis region. 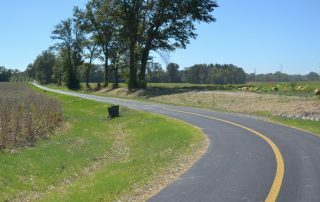 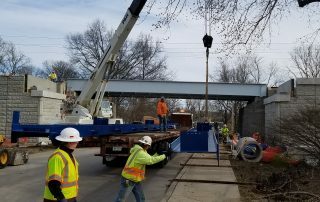 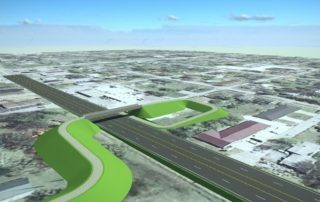 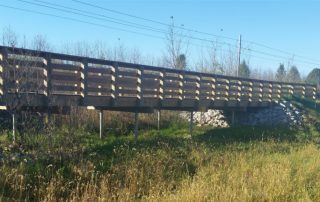 As part of the MetroBikeLink trail extension, TWM designed a 356’, 4-span rolled steel beam bridge over IL Route 161 in Belleville. 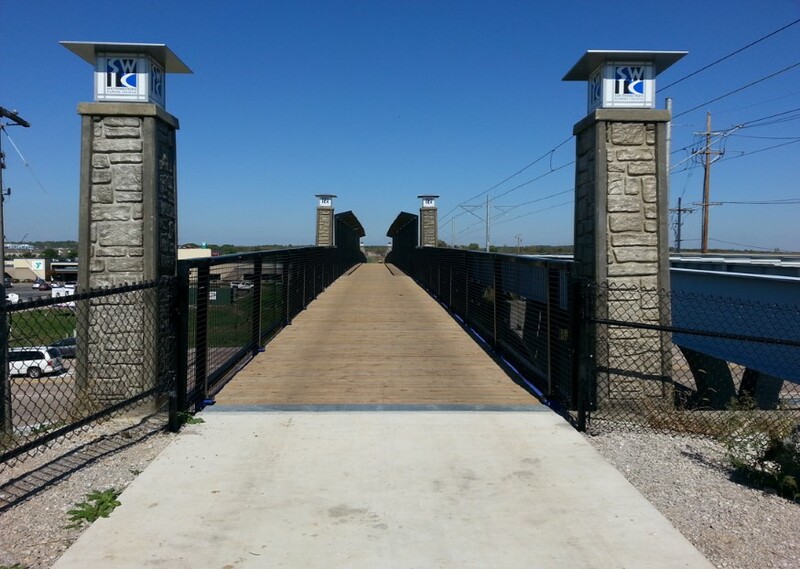 Architectural form liner was used on the piers with black powder-coated fences. 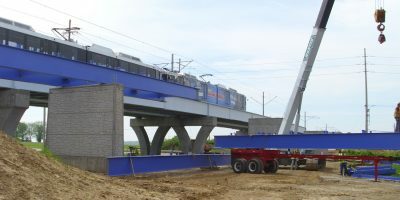 To provide access to the street below, TWM designed large, distinctive staircases on either side of the embankment, meeting the owner’s desire to complement the MetroBikeLink “transit blue” branding. The staircases are cast-in-place reinforced concrete, with lanterns on the pedestals and step lighting along the handrail. 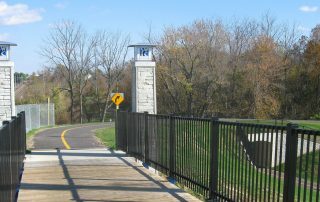 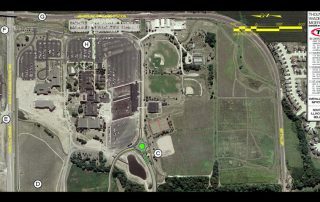 Anti-graffiti coating protects the surfaces in the campus setting.